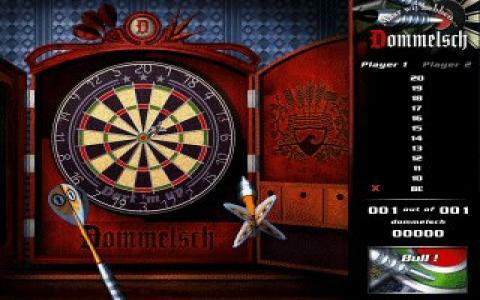 Dart 'm up is a very satisfying and well looking darts simulation, which is based around that classic arcade darts build; what it entails is that you have to match your pointer with a sliding one, on the screen. The more accurately you align the two of them, the better you'll be able to get to the target you've chosen. The game looks amazingly well, and it has a beautiful, pretty satisfying build. The controls are immediate, which make it very playable. Plus, the AI players each have their own personalities. What this means is that some of them get better the more they win, while others are impacted negatively by you playing better. It's really cool to see the AI players really affected by your game, like a psychological game! Great. But, the best way to experience Dart 'm up is to play in multiplayer mode, in hot seat mode, at parties, which does for a good enough game. So, overall, Dart 'm up is one of the best games out there, so you should definitely have a go at it. It's one of the best games out there, without doubt, from the late 90s. Similarly, you should download RSA Darts, which, even if released a couple of years before this one, still holds pretty nicely.